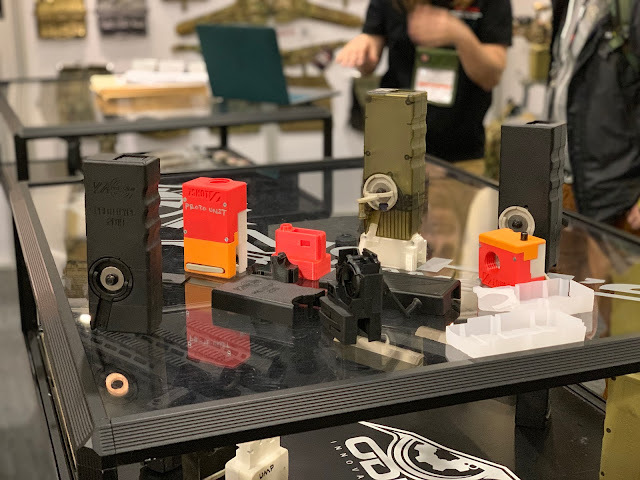 SHOT SHOW 2019 | LBX TACTICAL! Hey everyone, and welcome back to the blog! 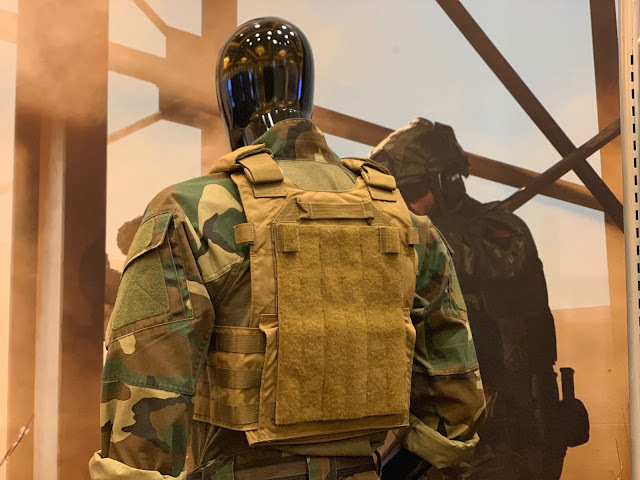 This year from LBX Tactical we can expect great things! Whilst I was catching up with my main man Bo, I saw the new Armatus minimap - so the original minimap from LBX wasn’t meant for the Armatus system, but they've taken on the feedback from their customers and this one is and what is really cool about it is that players can stack their other panels on top of the new minimap thanks to the velcro attachments running along the pack. They’ve even made an adaptive velcro panel for those who don’t run an Armatus but want to run the back panels - Yaaaaaas! One of the main themes for this year was panels! Panels, panels, panels. 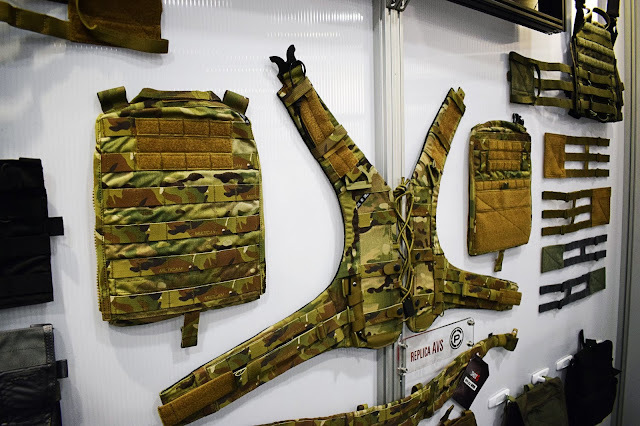 This year we will see a range of new panels for their Armatus plate carrier! 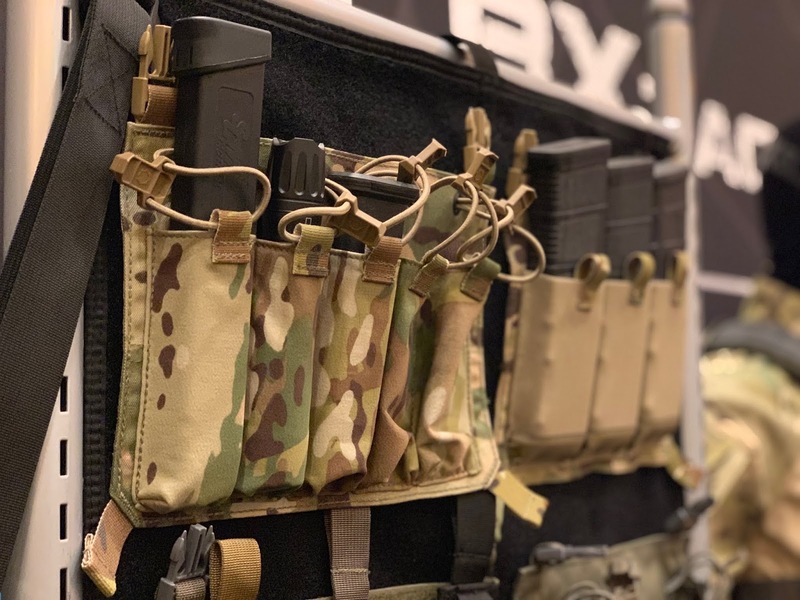 With the popularity of the 9mm SMG such as the Vector and the ARP9, LBX have created an SMG panel to be released later this year, which has 5 x 9mm magazine pouches with bungee cord to keep them secure and it attaches via buckle clips and velcro. 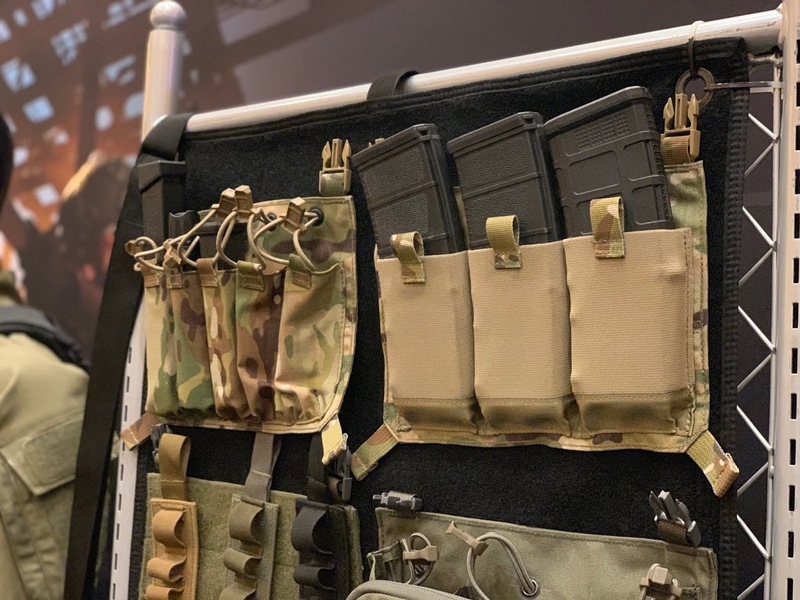 We can also look forward to the new ‘stretch’ panel - this stretchy piece of kit has 3 x AR magazine pouches that are made from the same stretch fabric that the Armatus stretch cummerbund is. The sample we saw at SHOT was literally hot off the sewing machine so we don’t have a release date or price as of yet but these details will be in ASAP. Another prototype panel that was debuted at SHOT Show 2019 was the shotgun shell panel - each strip panel has 5 shell holders which are then attached to a full velcro panel meaning shooters can stack them up on the panel and have multiple shells on standby. The new ‘admag’ however is the one that really caught my eye at the show and that I'm really looking forward to! The front admin pocket opens out to be able to carry medical equipment, navigation equipment, extra magazines (it already has some velcro loops for pistol mags) and it was discovered at SHOT that a magazine can be stored behind the admin panel, increasing the load it is able to comfortably carry. 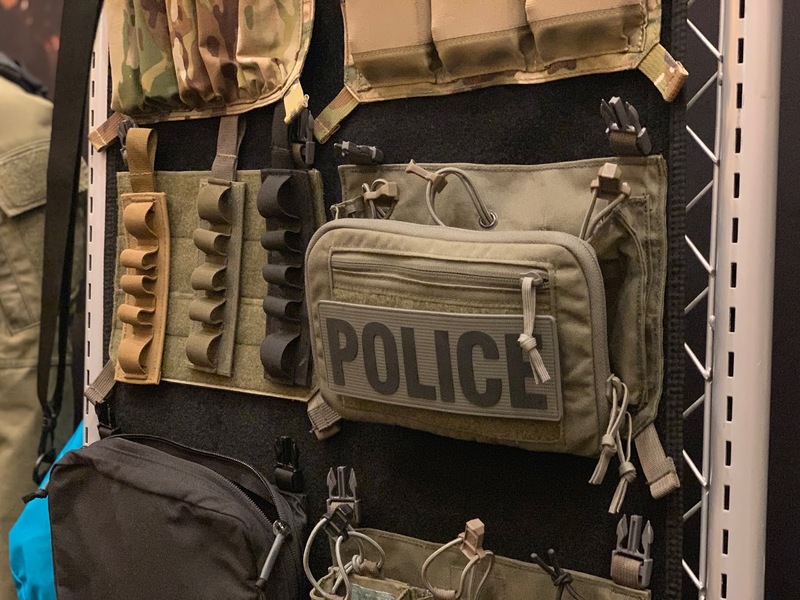 All the panels will be available in a modular version - think most molle platforms. SHOT SHOW 2019 | PTS SYNDICATE! 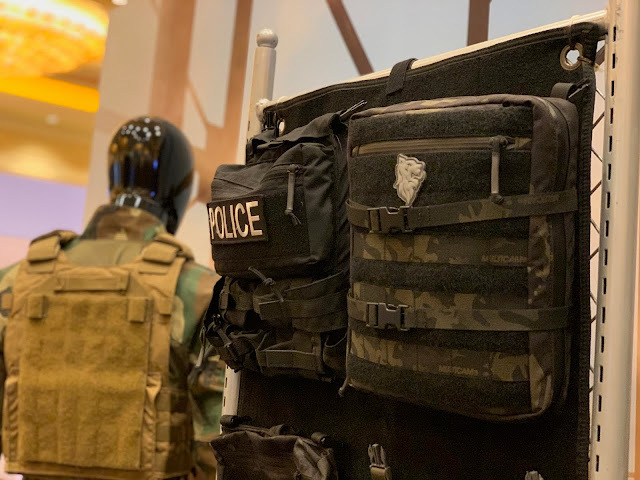 Today we're carrying on with my #SHOTShow2019 coverage and in this post, we're going to look at what PTS have announced for 2019. PTS have announced a tonne of new products but there are a couple that I was really excited about - The EPM 1 and their new MTEK USA Helmet collaboration - the MTEK Flux! The Enhanced Polymer Magazines from PTS are, in my opinion, the best on the market, but could they possibly make them any better? Well, with the release of the EPM 1, PTS think they've done just that! 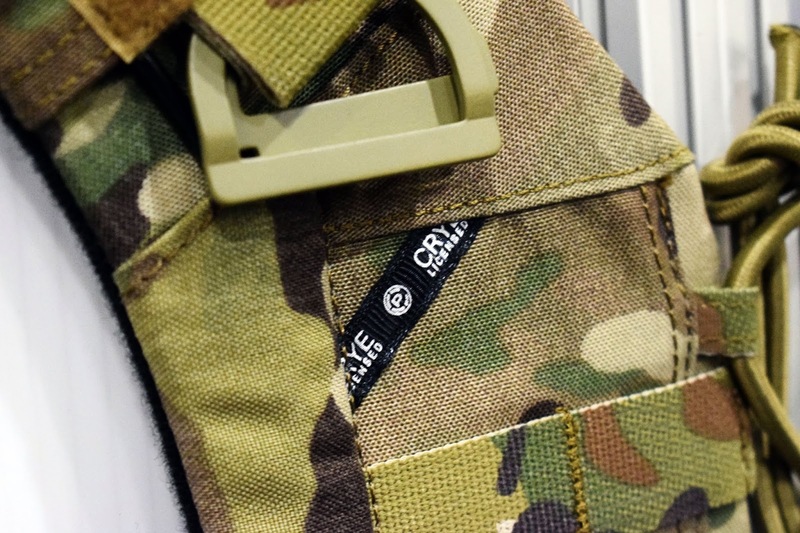 It is a collaboration between PTS Syndicate and Odin Innovations - they’ve partnered with Odin on this project to create a midcap magazine that has a functional load indicator - the load indicator begins at the top of the magazine when it’s full and as you go through ammo, it moves down the view window until it eventually reaches the bottom, indicating that the magazine is empty. This means that players will know the condition of their magazines at all times by simply looking at them. 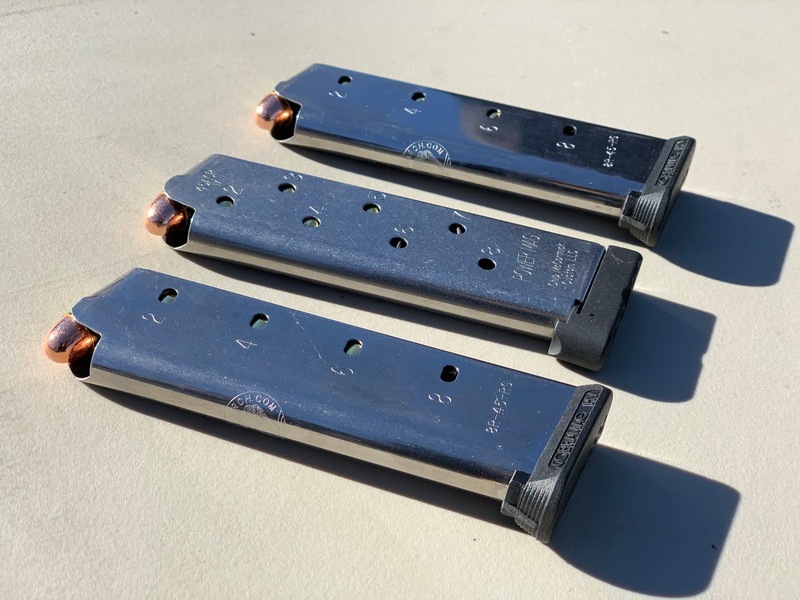 The new EPM 1, I've been told can hold 200+ BBs, meaning it carries more than the standard midcap magazines on the market! It is still made from the Dupont Zytel polymer that the original EPMs are made from making it just as durable as its predecessor. It has recessed sides to help with grip and of course an over mould on the bottom of the mag to ease with getting the mag in and out of pouches. 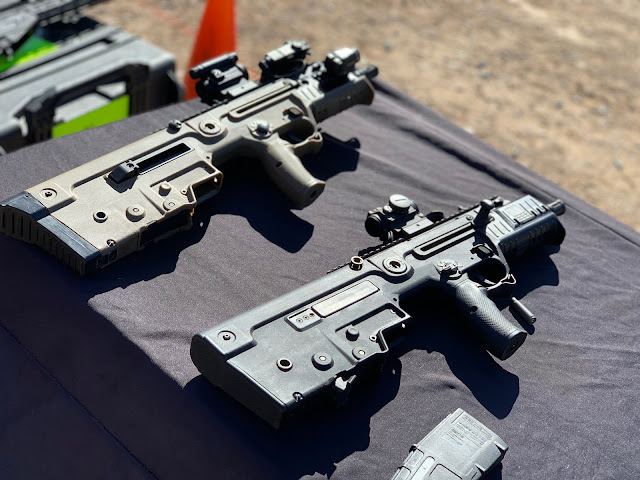 Although it looks pretty finished, it still has another round of testing to go before it hits the market, and PTS are aiming to have the EPM 1 on the market later this year. There’s currently no price point announced. Next up is the MTEK Flux, PTS announced their partnership with MTEK a couple of years ago but this is the first we’ve seen from the collaboration between the two brands - and I couldn't be more excited! 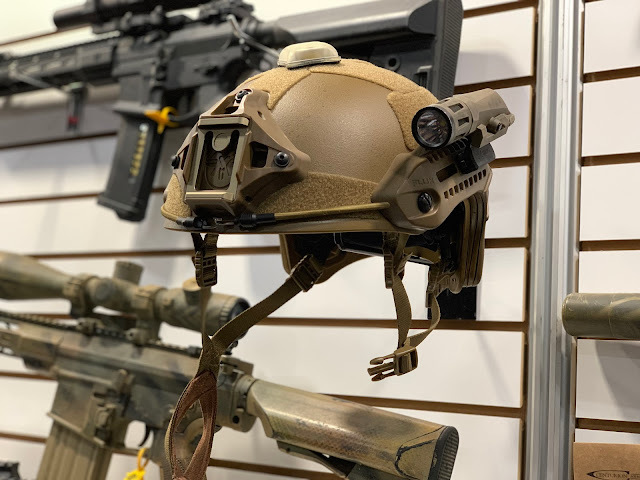 The amount of detail that has gone into this sample is insane - it has the smooth texturing that we can expect from ballistic materials (however it should be noted that this helmet isn’t ballistic rated), it has a metal shroud, MLOK rails on both sides of the helmet for attachments and second to none padding on the inside - there are two layers of padding which means it is adjustable. Although there is no date currently, PTS expect this product to be hitting the shelves soon! 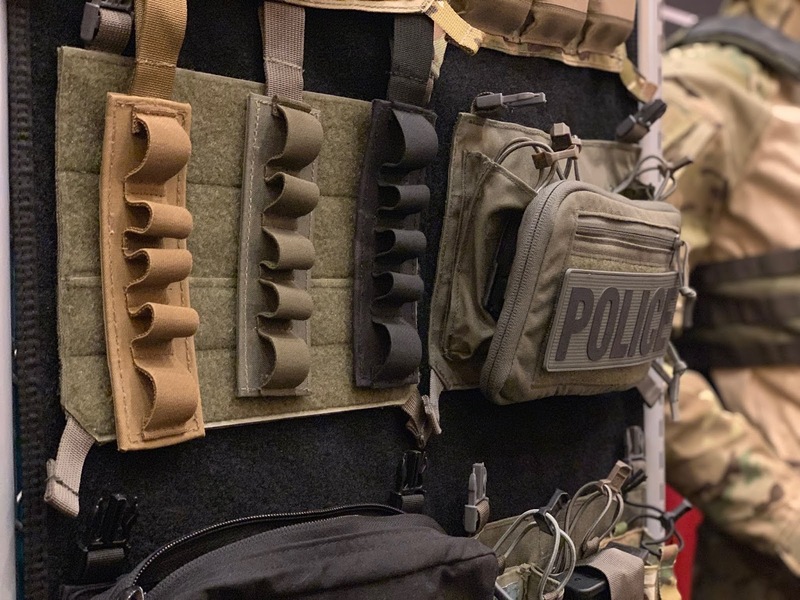 SHOT SHOW 2019 | REDWOLF AIRSOFT! Welcome back to the blog! 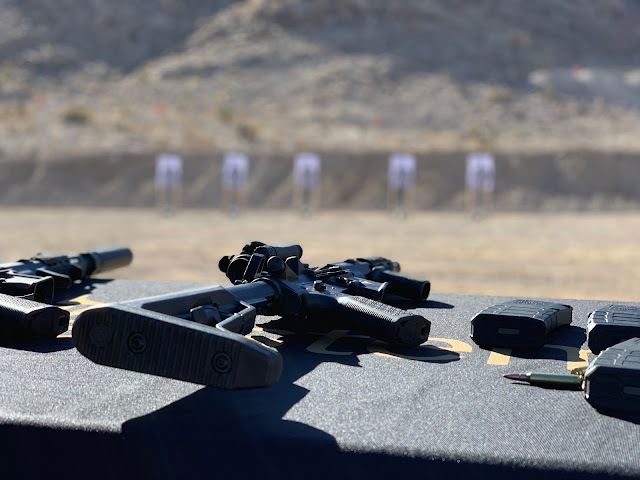 I'm now back from my trip to the States, and catching up on all my SHOT Show 2019 content - sorry it has taken so long to get this information to you but it's been a hectic few weeks! 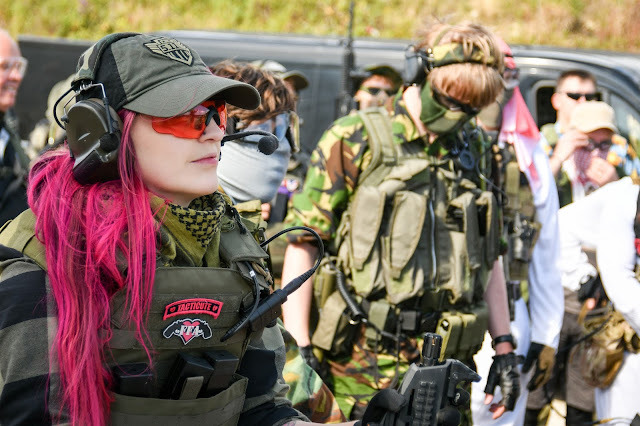 First up in my SHOT Show coverage is RedWolf Airsoft! 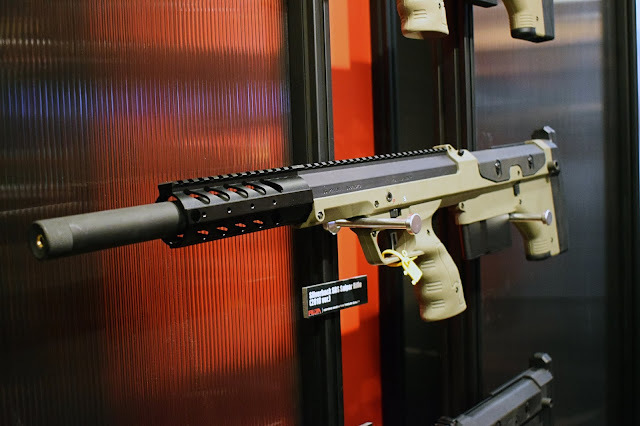 This year at SHOT Show 2019, RWA announced that they are releasing the GBB B.A.D Rifle, now this will come in two lengths - the carbine and the CQBR (which I'm super excited about! ), both will have a keymod switch rail and a collapsible stock. 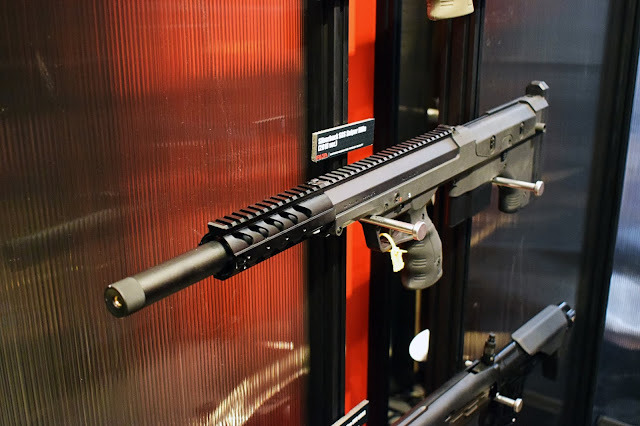 Inside this badass GBBR is an upgraded Tokyo Marui MWS spec system! So players can have faith in this being a performer out of the box. This particular release will be available in March/April (TBC). Out of the box it comes in black but can be cerakoted using their new cerakote service! 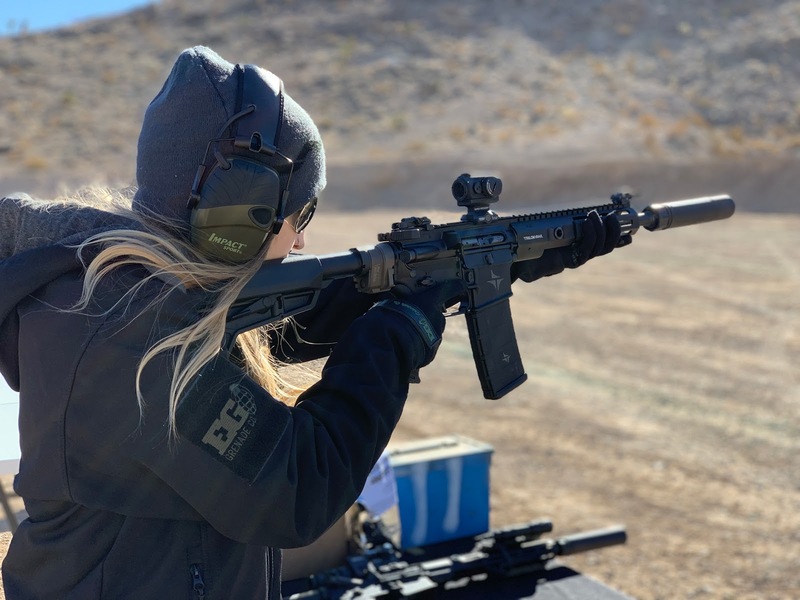 Another announcement is that they are also releasing this rifle as an AEG as well, so for the players who aren’t familiar or don’t like using a GBBR there is still an option for you! 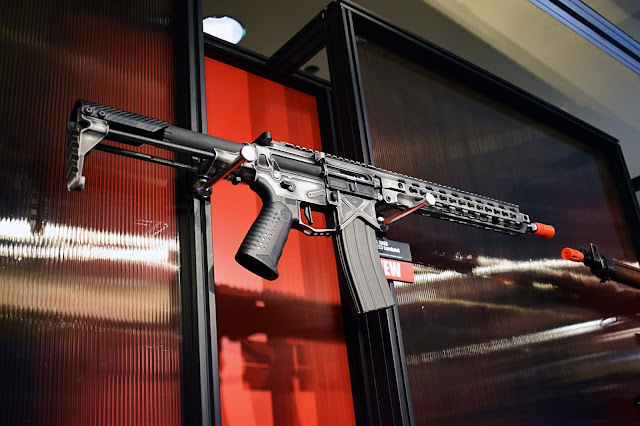 The AEG B.A.D rifle will have a 13-inch M-LOK switch rail, the same outer barrel as the GBBR, the same ambidextrous controls but it will have an ECU (Electronic Control Unit), rotary style hop up and an extended magazine release for easy reloads! There isn’t a date currently for the AEG release, but RWA hopes to have it on the market by June 2019. 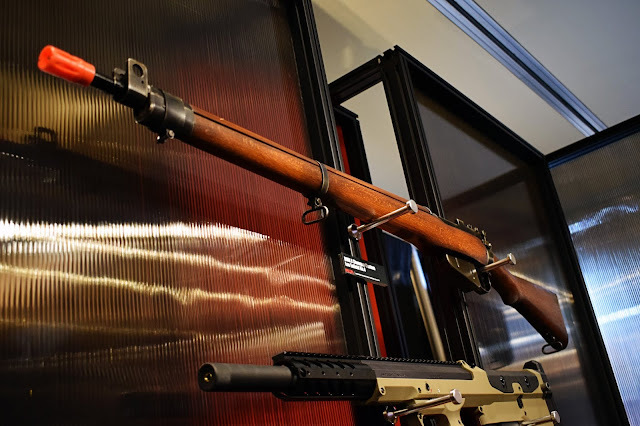 The Lee Enfield No.4 - yes, I know what you're thinking! 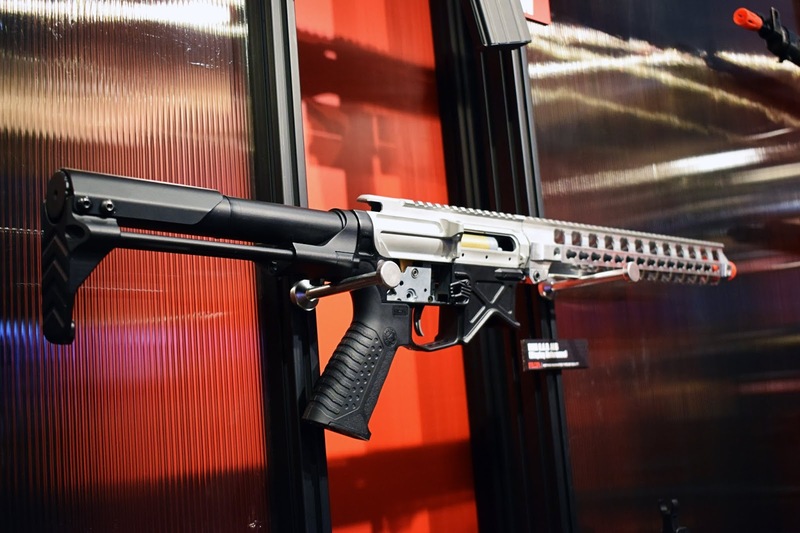 We’ve seen this gun a few times now at various trade shows BUT RWA have made it their mission to make this as authentic as possible, so the new version has a few new features that really complete the build. 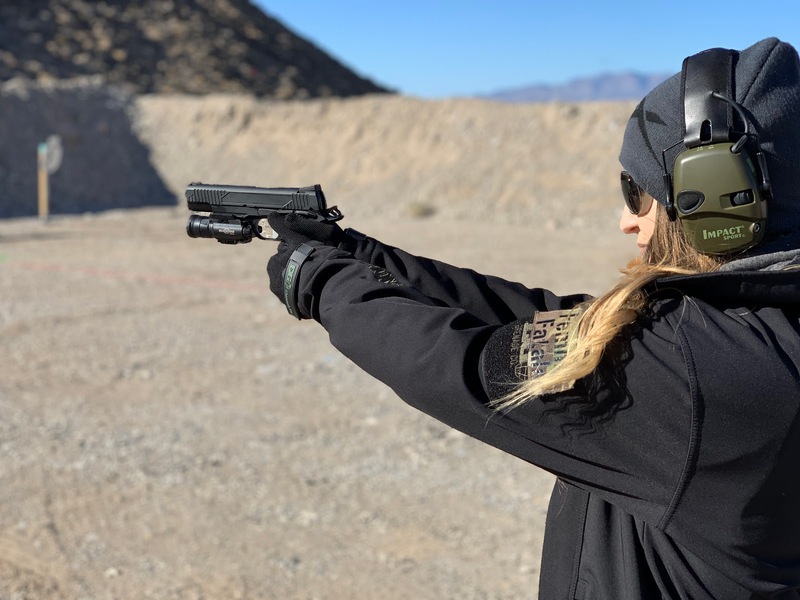 They’ve partnered with a company called ‘Show Guns’ to make this version more romantic with features like textured wood, weathered finish and a BRASS buttstock! These are a build to order piece! The 2018 SRS Sportline - the well-known bolt action sniper SRS has had an overhaul in the sportline edition - it has a new mould design, a new feed lip to ensure that all the BBs will feed from the magazine which also means that when you eject the magazine it will no longer drop. It features an upgraded piston and piston head so you can add an airbrake to the gun - now what this would do is make the gun shoot quieter but will also lower the FPS, so it is a bit of a tradeoff but it's great that players will have the ability to do this straight off the bat. The new Sportline comes pre-flat hopped - but it is proprietary. It has the same mode of adjustment but this has been made easier without the need of an Allen key. They have a lower price point than the 2018 SRS but has the same, if not better performance. 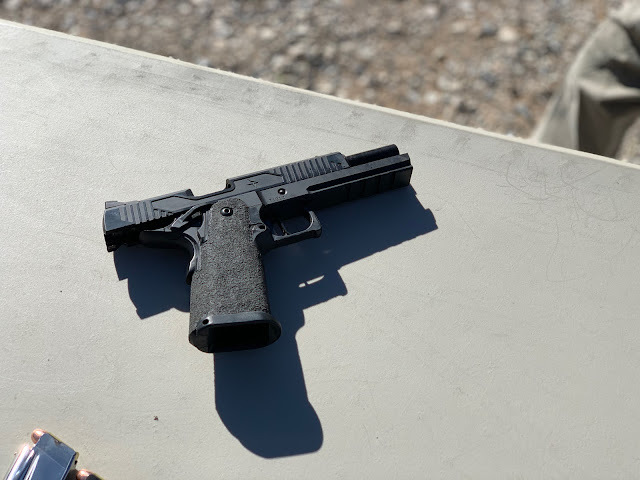 Last year RWA debuted the prototype of the Agent 1 GBB pistol - a collaboration between Nighthawk Customs and Agency Arms. 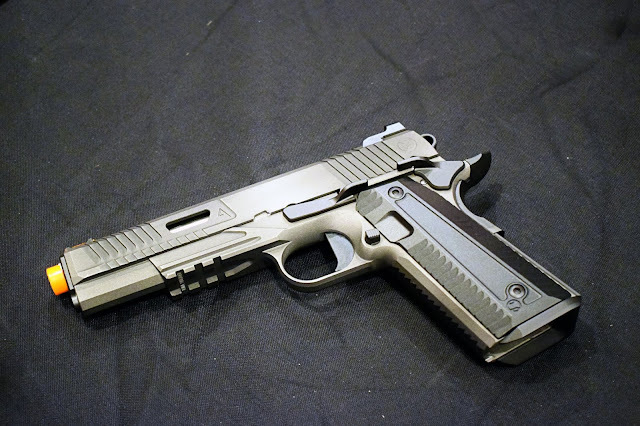 This pistol will be released in the coming months and only 100 of them will be made! Making it an exclusive piece! It comes pre-ceraokated, is based on a Tokyo Marui system, some of its features include a stainless steel outer barrel and a fibre optic front sight. If you have been watching the Femme Fatale Airsoft Instagram you’ll know that over the last few months I’ve been playing around with the Avatar grenade! 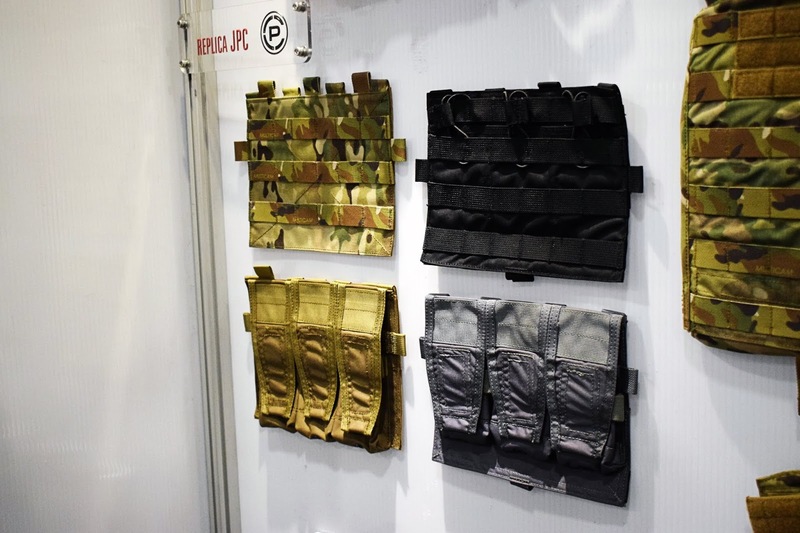 This year at SHOT Show, RWA had the line of new skinz and of course the new cerakoting service. 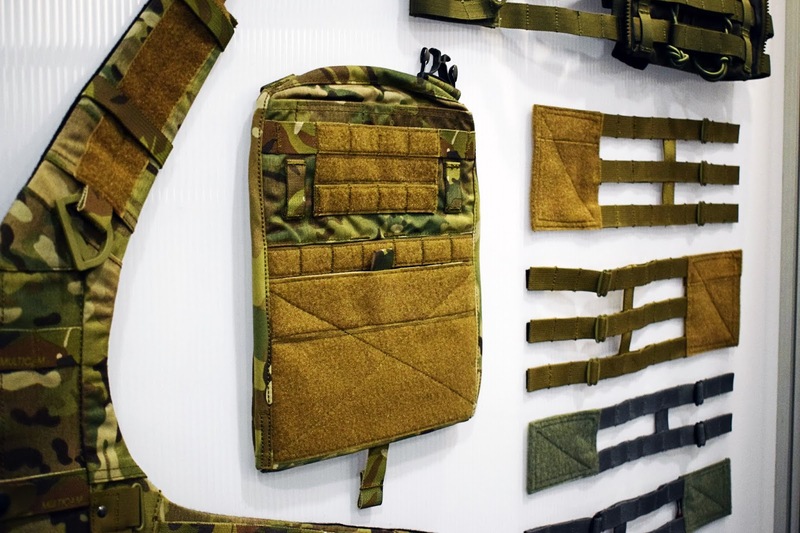 The original skin now has the option to be cerakoted in a variety of colour ways and camp options. The new skinz featured included the Plasma with blue/green LED switch kit - you’ll recognise this if you’ve ever played HALO, the Tacphoon - which has two release ports and is the highest FPS skin yet, the Little Loud - which transforms the Avatar into a simple sound grenade and lastly the Agent skin with orange LED switch kit - which those of you who played the Division will recognise as the seeker mine. 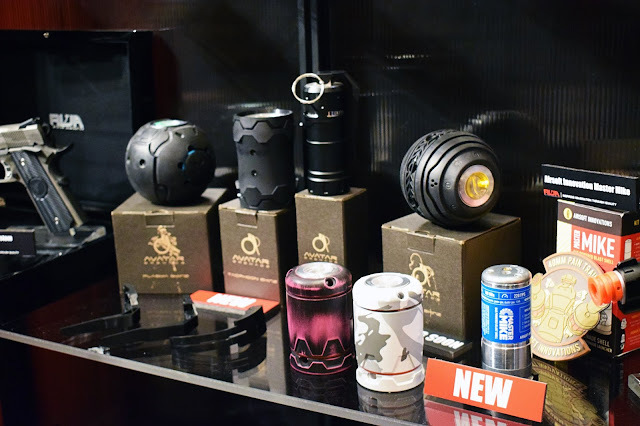 SHOT SHOW 2019 | ZSHOT INC. HIGHLIGHTS! Hey everyone and welcome back to the blog! This week we're catching up on my SHOT Show 2019 content, and first up is the highlights from ZShot Inc.
As many of you will know ZShot Inc. have licensing from Crye Precision to make a couple of different replica options for players who want Crye Precision gear, but at a more affordable price point - currently they make the replica JPC 2.0 and the replica AVS and there's a pretty comprehensive accessories line to go with them! Currently the JPC 2.0 comes in black, MultiCam, MultiCam Black, MultiCam Tropic, coyote, ranger green and urban grey and the AVS is available in MultiCam, black, coyote, ranger green and urban grey! The accessories include zip on front and back panels, front flaps, 2 band and 3 band cummerbunds. In the front flaps there are options for both 5.56 and 7.62mm mags. 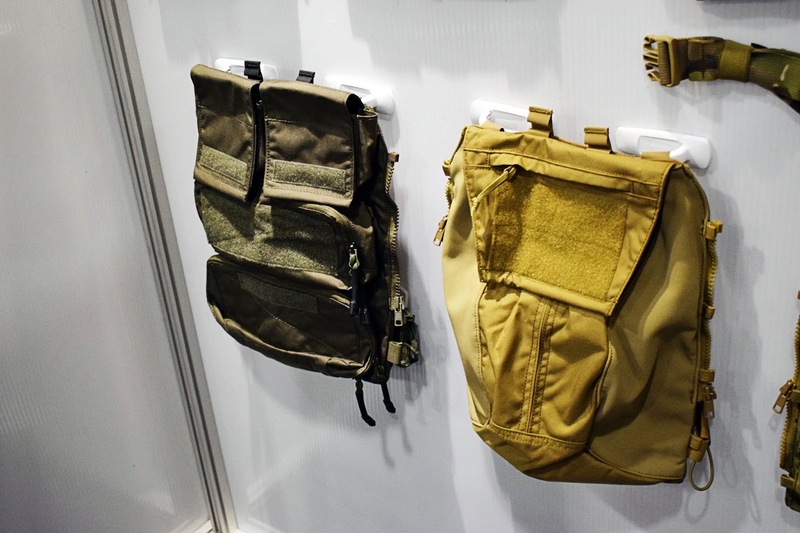 In the zip on back panels there are a bunch of different pouch configurations to suit. The Odin Innovations M12 Transformer speedloader. The Transformer gives players the ability to adapt the Odin to their play style, with the original M12 Speedwinder you needed different adapters for the different types of airsoft magazines as it only came in M4 or AK variants, in the new Transformer, the speedloader is completely customisable and comes with different bottoms including M4, AK, PTW, G36 and MP5 so most airsoft magazines are covered. They have also created different ways of feeding the BBs into the Odin by utilising bottle screws and giving players the ability to screw a bottle directly to the Odin. Leave a Comment Airsoft, Airsoft Blog, airsoft gun, airsoft guns, airsoft milsim, bb gun, Blog, Blogger, Featured, Femme Fatale Airsoft, gun game, Guns, SHOT Show 2019, tactical 2018, Tactical Gear, Tactical kit, ZShot Inc.
FIRST SPEAR RANGE DAY 2019! Welcome back to the blog! 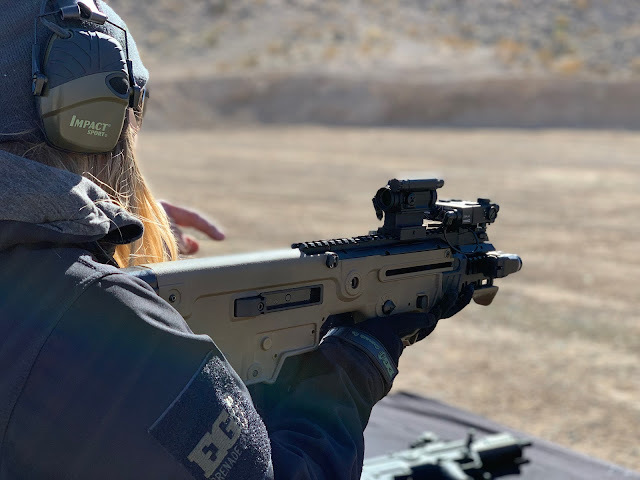 So Monday 21st Jan kicked off SHOT Show 2019 with the various range days, I attended the First Spear Range Day for the second consecutive year with my buddy Chris from The Full 9! 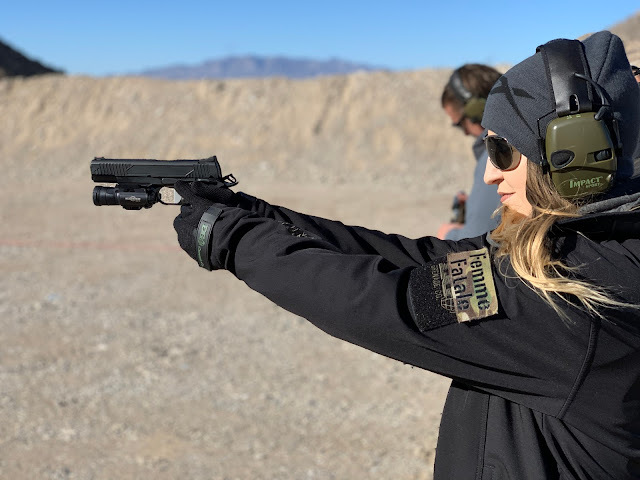 We met up at the SLS Las Vegas and jumped on the shuttle bus that drove us out to the range deep in the Nevada desert. Range day for me is always about getting to shoot as much as possible - as it's something that I don't get ample opportunity to do back home and thanks to Triarc Systems, I got to do just that! 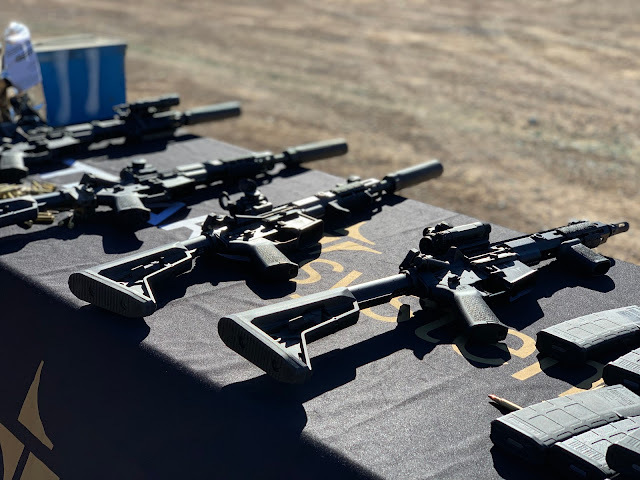 Triarc Systems attended the First Spear range with a selection of their Glocks, 1911s, 2011s and some of their AR-15s. 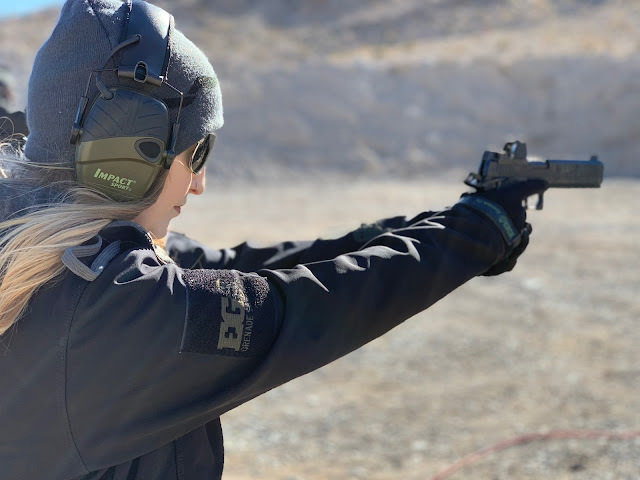 As I don't get to shoot pistols very often, I've always been timid around them up until my last trip to the US when my bro Omar from Enola Gaye took me to the Las Vegas Shooting Centre to work on my pistol handling and manipulation - thanks to this I feel a lot more comfortable handling and shooting them. I jumped right in with a .45 1911 with and without an RMS optic, then moved onto 9mm Glocks with and without an RMS optic - I may not have hit much (which you won't if you only shoot pistols twice a year) but I had a blast! 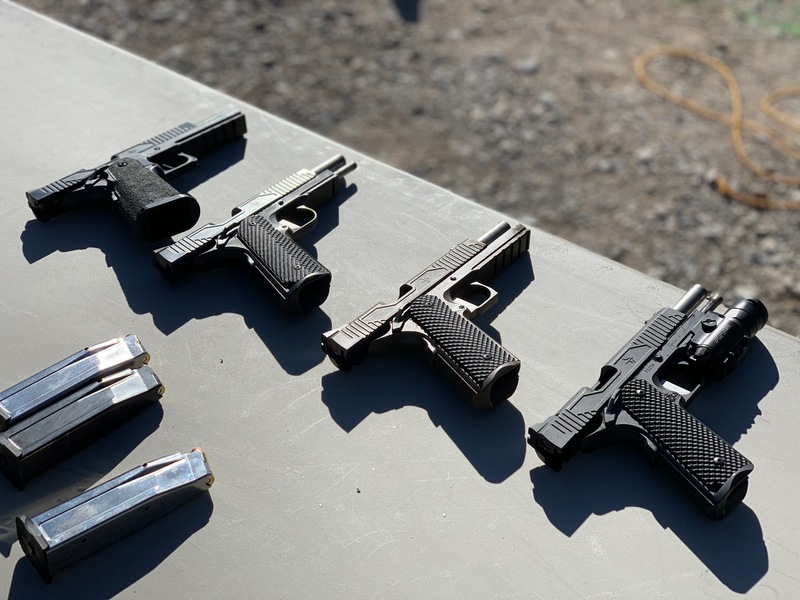 After a hot minute with the handguns, we moved onto the TRIARC ARs, which are the highlight of the range day for me! 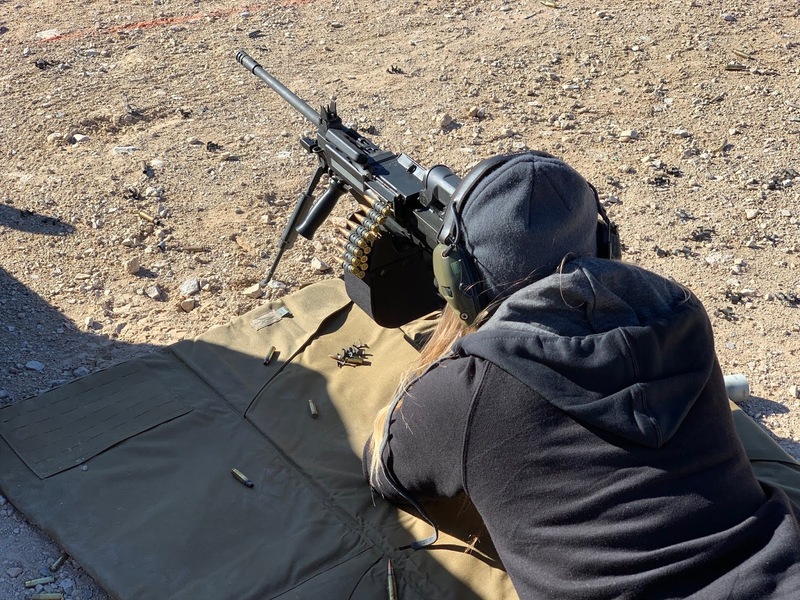 Rifles are by far my favourite firearm to shoot - especially when they're suppressed! The TRIARC ARs featured a new handguard which is based on the ZEV M-LOK rails (if you follow my IG page you'll know I have one of these at home waiting to be used in a rifle build - exciting stuff!) 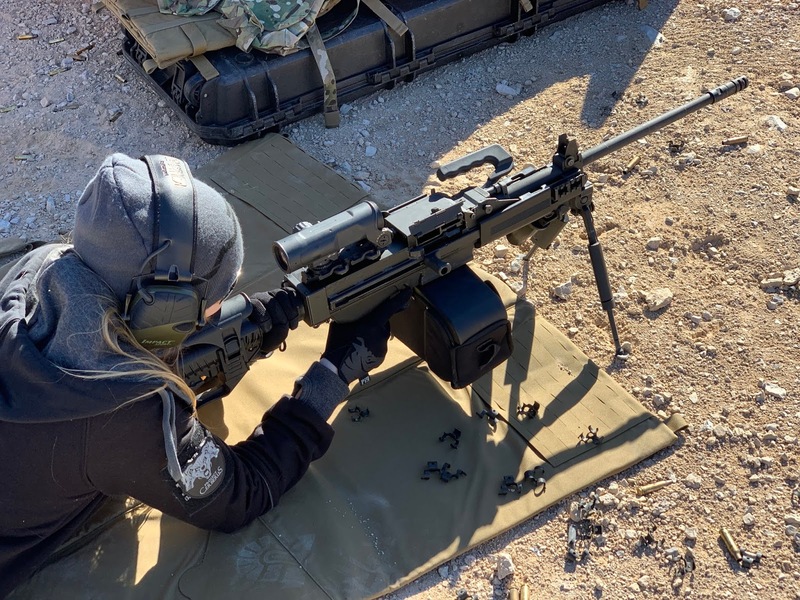 They also pimped out their ARs with some sweet Radian charging handles, 45-degree selectors, Geissele triggers, amongst others Gucci bits and bobs. 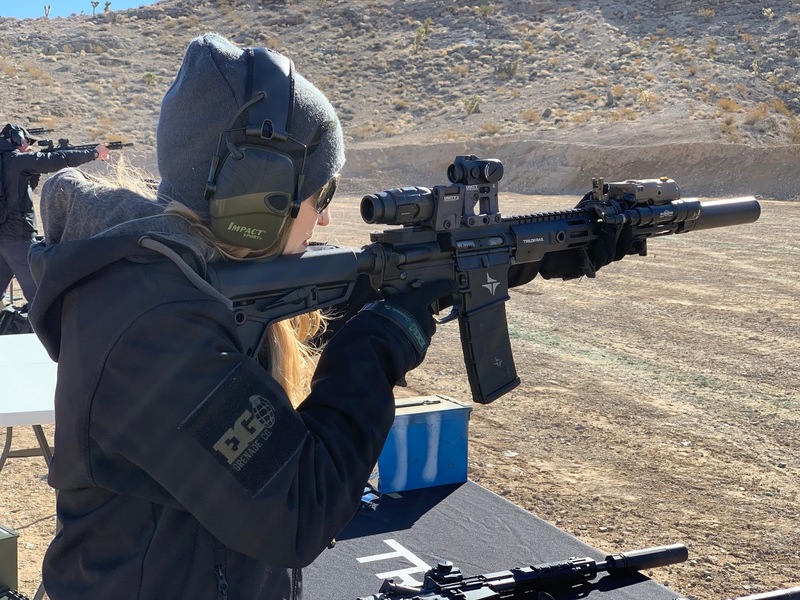 We also got to try out the new Unity Tactical Aimpoint, Inc. mounts, which were a big conversation starter at SHOT Show 2019. IWI US were also in attendance with a variety of their Tavors and Galils. I've never shot a bull-pup style rifle before so that was pretty fun!